The Abbasid Caliphate was the third of the Islamic caliphates to succeed the Islamic prophet Muhammad. The dynasty descended from Muhammad's youngest uncle, Al-Abbas ibn Abd al-Muttalib (AD 566–653), from whom the dynasty takes its name. 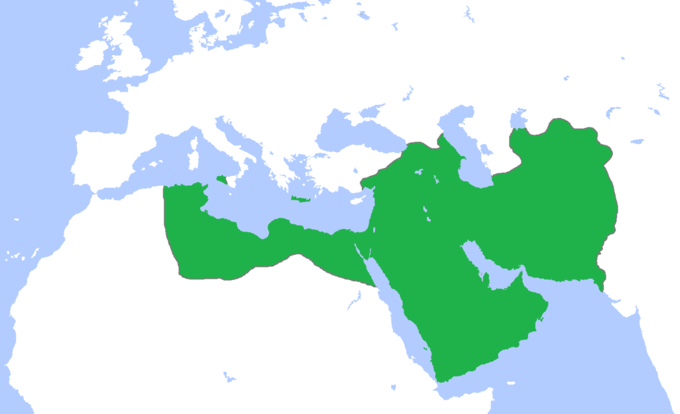 They ruled as caliphs mainly from their capital in Baghdad in modern-day Iraq, after assuming authority over the Muslim empire from the Umayyads in AD 750 (132 AH). Abbasid coins have been found in hoards all over Scandinavia, which suggests very active trade routes between the Islamic world and the vikings.